The red ball thing is a piece from an old lawnmower. For the opening, I cut a hole in the deer fence material and wrapped the edges with garden twine. 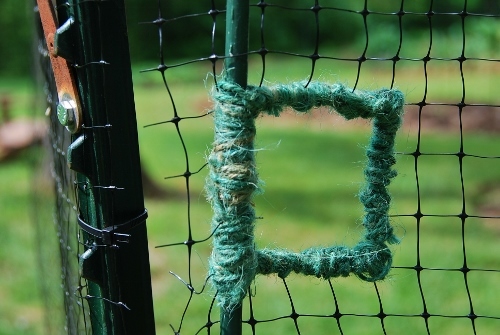 If you can’t fit a square peg in a round hole, how about a round peg in a square hole?! 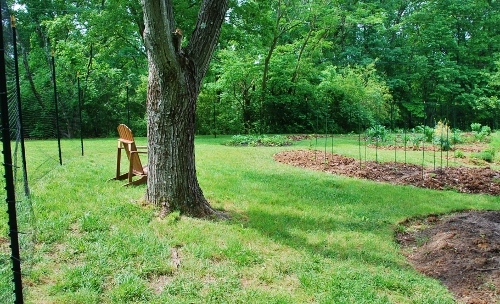 The square can double as a view finder for garden art compositions! More spacious corner office! The wooden two by four is the right gate post. 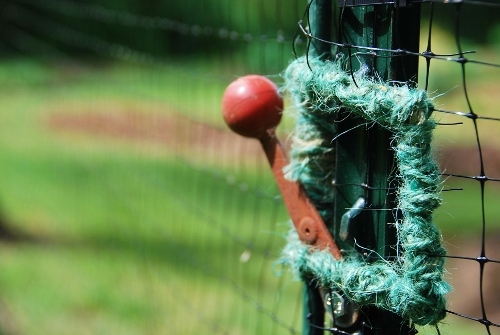 This entry was posted in Art, Deer fence, DIY, Gardening, Kids, Missouri, Parenting, Photography, St. Louis on May 27, 2013 by Spy Garden. Great work with the deer fence! 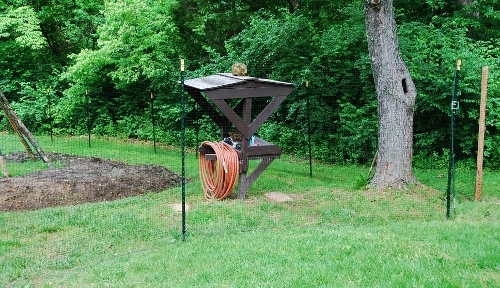 I have a similar project going on in my yard, details will go in my blog. Thanks for liking my post yesterday, I think our blogs have a lot in common: kids and gardening in particular. I’m looking forward to your future posts! Thanks! I look forward to following yours as well! The corner office looks wonderful! 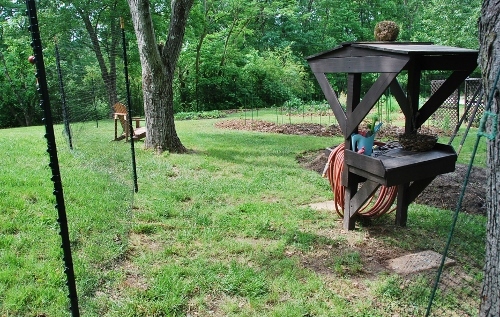 I grew up with deer devouring our vegetable garden, and I don’t miss having to fend them off. I hope the fence holds up! Thanks! I think we’ve definitely discouraged the deer. I don’t even see them in our yard anymore!